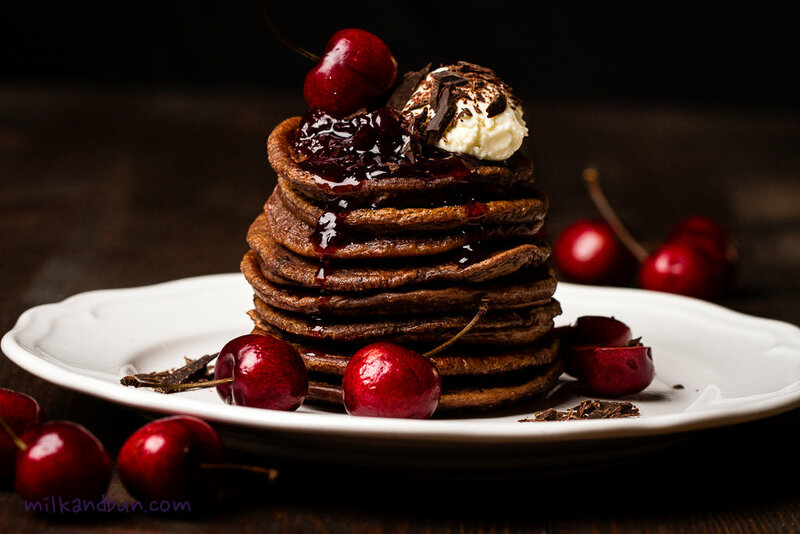 Feb29February 29, 2016 • By milkandbun • This entry was posted in Breakfast, Desserts and tagged blog, Blogging, breakfast, cherry pancakes, chocolate pancakes, delicious, dessert, Dubai food blogger, food, food photo, food photography, food styling, foodporn, foodpress, My Life, pancakes, photography, photos, recipe, Sunday breakfast, weekend. Bookmark the permalink. So delicious Mila, they look fantastic. Wow, these look incredibly decadent. Superb job! So glad to read your compliments! 😀 Thank you! Mila, what a great way to start the morning! Yum! These are stunning and so decadent and delicious. It totally reaffirms my theory that breakfast is dessert. Yes. I’ll be making these this weekend! 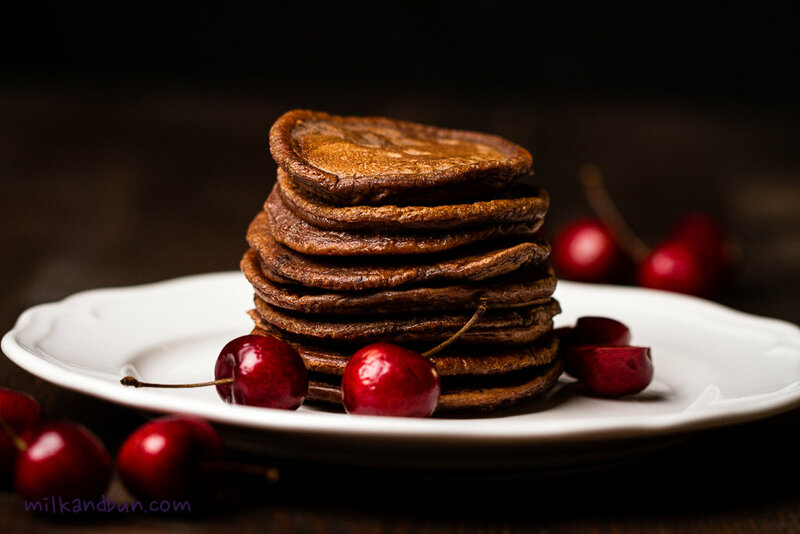 Really, my head couldn’t think of anything else and I secretly hope yours can’t either because that’s exactly why I wanted to share this pancake recipe with you!